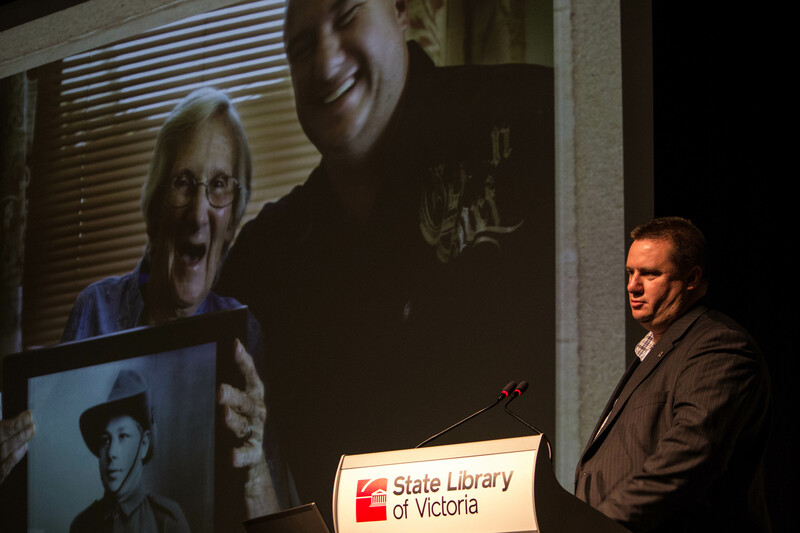 On Monday 5th August, the Library hosted its 10th annual Family History Feast. This year’s feast was truly a memorable experience. To celebrate our 10th year, we dedicated the day to military research. Special thanks to Ian Douglas, Regimental Bugler of the Victorian Colonial Infantry Association who greeted the audience with an impressive bugle call. The first session kicked off with a bang, with Tim Whitford’s, extremely moving presentation “Identity and dignity. 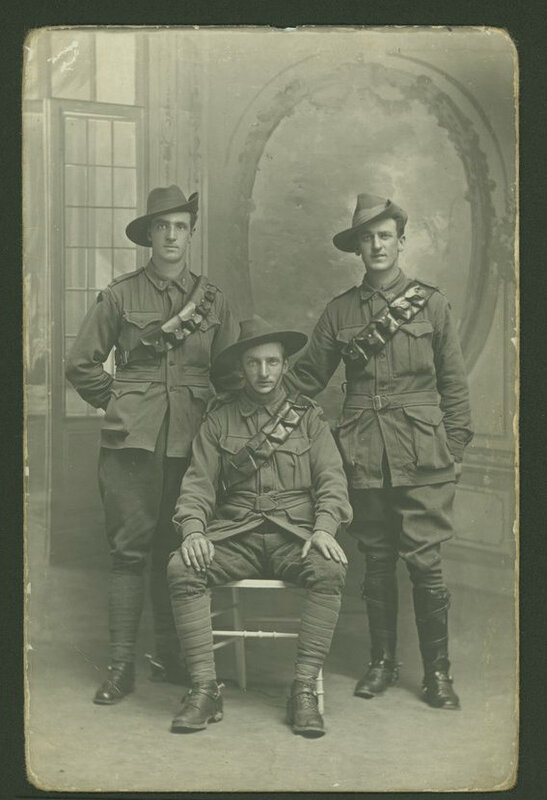 Fromelles and family history”. Tim Whitford is an Education outreach officer at the Shrine of Remembrance, who has a deep personal interest in the Battle of Fromelles (his great uncle was one of the fallen soldiers). Some of you may remember Tim from the media coverage surrounding the excavation of the missing Australian soldiers who died at Fromelles. Tim was one of the key players responsible for finding the burial location of these missing diggers. Forensic analysis of German war photographs, allowed Tim and his colleague Lambis Englezos, to piece together what happened. Amazingly, the answer to finding the diggers’ resting place came from analysing aerial photographs taken before and after the war. Looking at these images, they were able to identify empty pits that had appeared near Pheasant wood, nine days after the battle. By the end of the war, these pits were no longer visible. In 2008, an architectural dig took place and they later recovered the bodies of the missing Australian soldiers. Finding the burial location was only one part of this story. The next step was to identify each of these men and rebury them with the honour and dignity they deserved. Matching Mitochondrial DNA (passed down the female line) with relatives of the diggers they have so far identified 124 of the 250 men found. Family historians across Australia can be credited with identifying relatives who carry the same Mitochondrial DNA, which was essential for a positive identification. I think its safe to say that the whole audience was incredibly moved by Tim’s story. We couldn’t have asked for a better start to this year’s feast! Stay tuned over the next couple of weeks, as I blog about the other excellent presentations. And for those of you who weren’t able to attend, don’t despair! Podcasts will soon be available on the State Library website. Very moving, thought provoking day – particularly Tim. Yes, we do need to remember and give those who have served dignity. Thanks for your comment Shirley. It was a fantastic talk! Such a moving story.